The inaugural European Games got under way in Azerbaijan's capital Baku on 12 June, with Great Britain sending its largest overseas contingent since the 2008 Beijing Olympics. There are 160 British athletes across 13 of the 20 sports. Olympic qualification opportunities are on offer in shooting, table tennis and triathlon, while several other sports provide a chance to earn vital ranking points on the road to Rio. 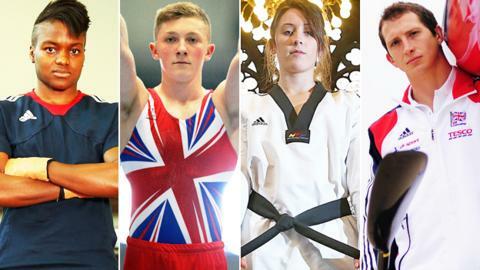 BBC Sport examines the top British prospects to look out for each day. Nine medal events, with three in badminton, two in BMX cycling, two in judo, one in beach soccer and one in volleyball. There are no British athletes in action on the final day, but there's still plenty going on. Beach soccer is one of the non-Olympic events on offer, and a sport that illustrates the European Games' vision of being pioneering and innovative. Meanwhile, there are bound to be plenty of thrills and spills in the BMX cycling. A goal is scored every three minutes on average in beach soccer, where each game comprises three periods of 12 minutes.